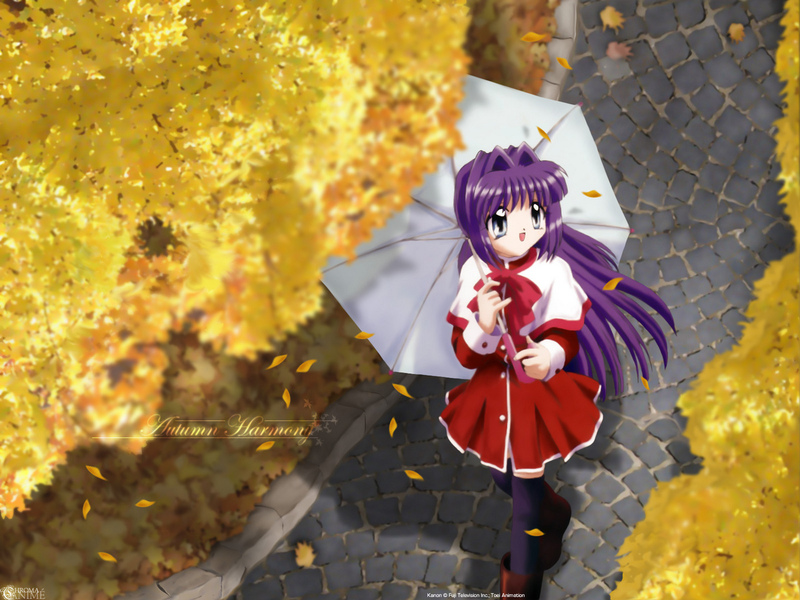 Nayuki (of Kanon) walking in the autumn is the subject of this Desktop Madness wallpaper. I love autumn. It’s my favorite season! We're celebrating autumn in this episode of "Desktop Madness." 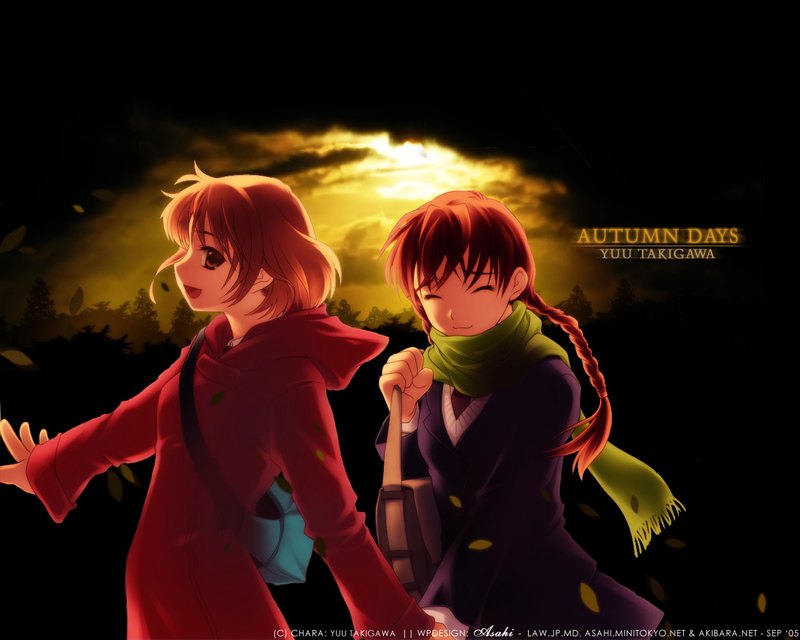 Yep, autumn is definately here, and Desktop Madness will be reflecting that. 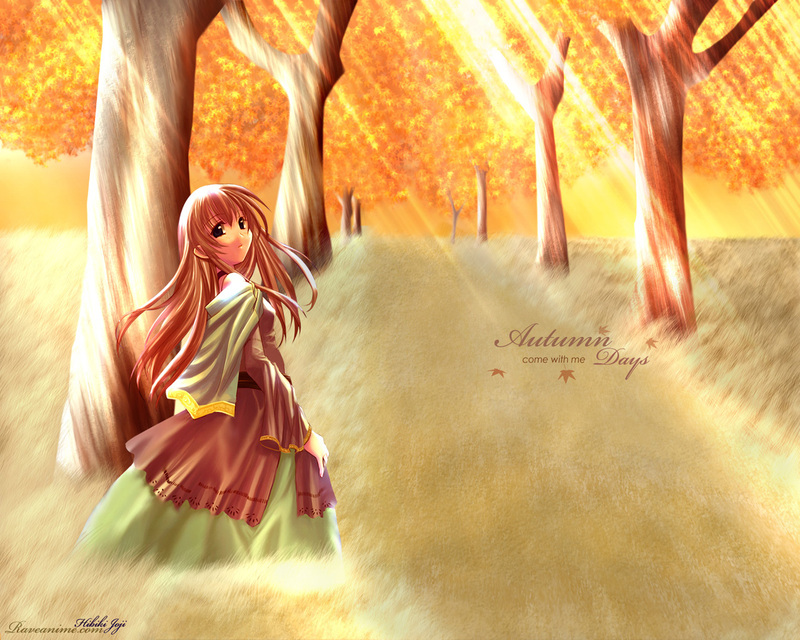 More autumn-themed wallpapers in this episode of Desktop Madness.